Youngsters wait outside the Parliament building (background) in Montevideo while lawmakers debate the bill legalizing marijuana. Photo by Pablo Bielli, AFP/Getty Images. One year after the legalization of marijuana in Uruguay, a study has found that 70 percent of Uruguayans feel that public safety and public health conditions after the legalization will either worsen or remain the same. The data was released today as part of a preliminary report conducted by researchers at the Latin American and Caribbean Center at Florida International University and Universidad Catolica de Uruguay as part of the Latin American Marijuana Research Initiative (LAMRI). In addition, the study found that consumption and risk behaviors, particularly among younger adults, have increased, and that marijuana users have failed register as required by the law. The study holds lessons for lawmakers in the United States, where the District of Columbia and 27 states have decriminalized marijuana to some degree. According to the Americas Barometer, 51.5 percent of U.S. citizens approve of legalizing marijuana. 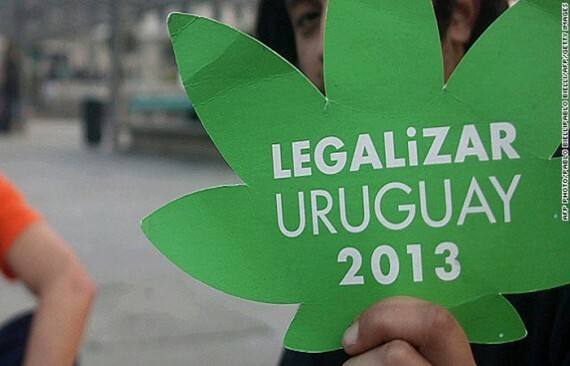 In 2013, Uruguay became the first country in the world to regulate the possession, growth, and distribution of cannabis. The initiative of marijuana regulation by President José Mujica, was passed by the Uruguayan Congress and signed into law by the president in December 2013. LAMRI is the first to examine the impact of marijuana regulation in this Latin American country and its influence across the hemisphere. The full report is expected to be completed by May 2015. For a copy of the report please, click here. Uruguay’s program has not even been fully implemented yet. Some of the requirements are ridiculous, like requiring to register. Colorado is on their 3rd year of legalization and their public still agrees it was the right move. I’m not sure what is more misleading and poorly conceived, the title of this brief or the study itself.